Nature dropped it, I picked it up and put in on a painting. So, how did I do it? 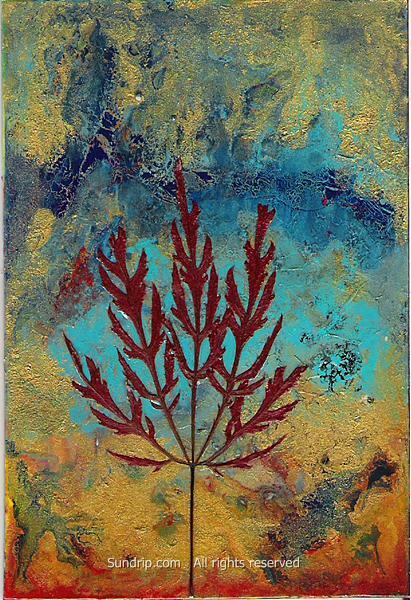 I layered wax, acrylic and ink to a magnet canvas then added a single red leaf from a Japanese maple bush (Acer palmatum). It's as simple as that and very fun to do. The painting itself is 4 x 3 inches. After completing this tiny painting I returned to the same spot where I stumbled on a virtual gold mine of twigs and petals just a'waitin' to be picked up. There were 'helicopters', dried seeds and petals sitting there like treasure. I won't lie, I nearly drooled, right there in public I all but drooled. 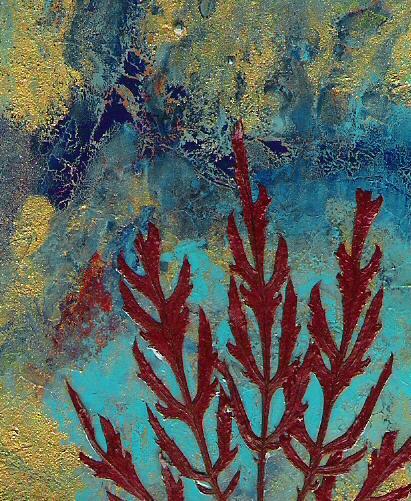 I love a challenge and I love working with non-traditional mediums which is why I beamed as I snatched up the finds. Knowing how much I love stuff like this I was mindful to leave some there so another artist cold come along and partake. Don't let the magnet canvas limit your imagination. 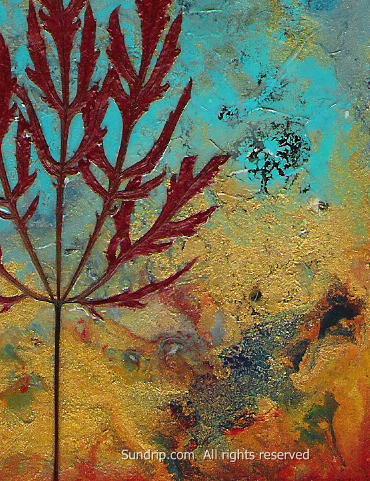 This can be matted and framed like any other painting and displayed in your home or office. 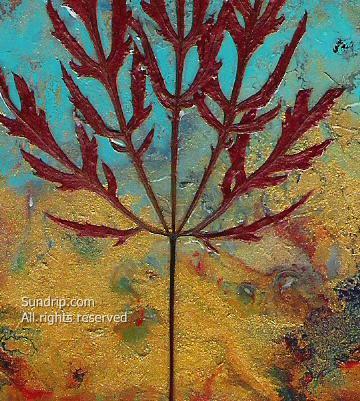 Noted: The Japanese Maple Leaf painting was gifted but no worries, there will be more to come. Check my Etsy shop often more updates and items you might like. All shop links are on the side bar.